Hi there it's Mindy from MyCreativeScoop.com, again. 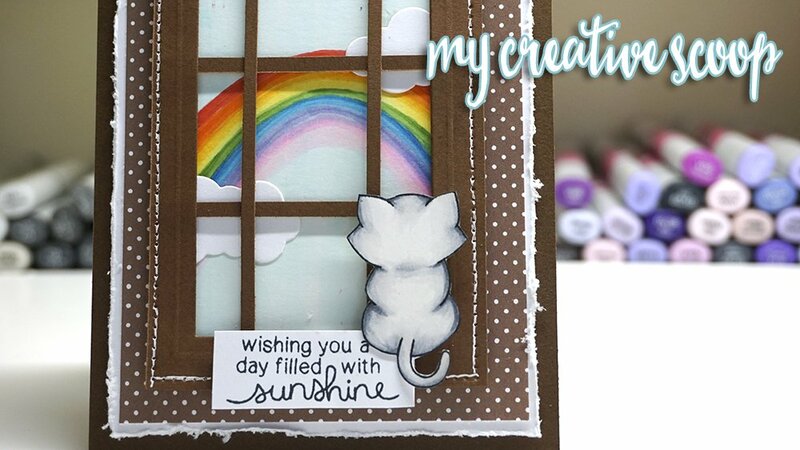 Today I have a fun everyday card to share with you. But I'm actually using Newton's Curious Christmas Stamp Set. Isn't that awesome! 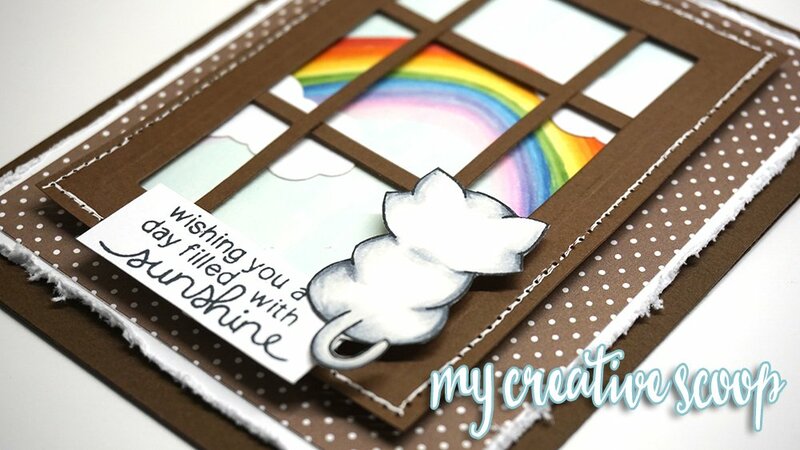 This stamp set is so versatile if you just think a little bit outside the box! I took the Newton looking at the moon and Santa Sleigh Stamp and just colored Newton and cut him out. Pretty clever, right!? You can actually use this stamp set for so many occasions. 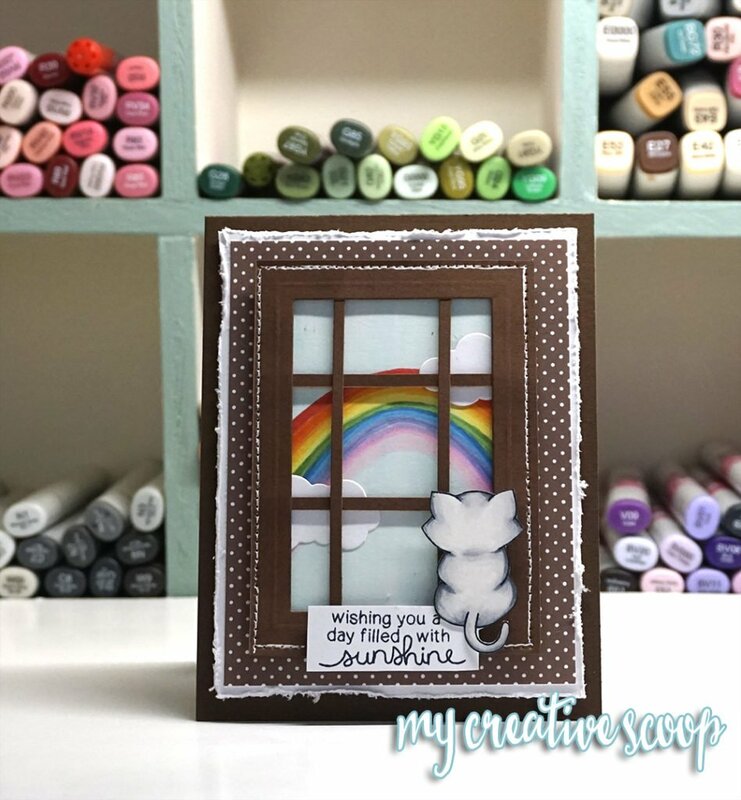 I used my Cool Grey Copic Markers to color this little darling Newton and I used my Copics also to create the the Rainbow on the other side of the window. I made the window from rectangle die cuts and just glued the the little strips for the inside of the window. The sentiment is actually from Newton's Mini Stamp Set, Newton's Daydream. I hope you feel inspired and ready to dig out your Newton Nook's Stamps and create! I'll be back next Monday with a new project to share. EEEEK! I HAVE THIS SET! SO cute and very clever. This is just the kind of card I like Mindy! Stamps are so versatile when we just think about WHAT we can/want to do with them. A great card, TFS!